Samahaara Theatre Co-operative presents Divakar Babu's "KUNDETI KOMMU" A hilarious play in Telugu Directed by Rathna Shekar Date - 25th & 26th April 2019 Time - 7.30pm Venue - Phoenix Arena, Hitech City, Hyderabad. 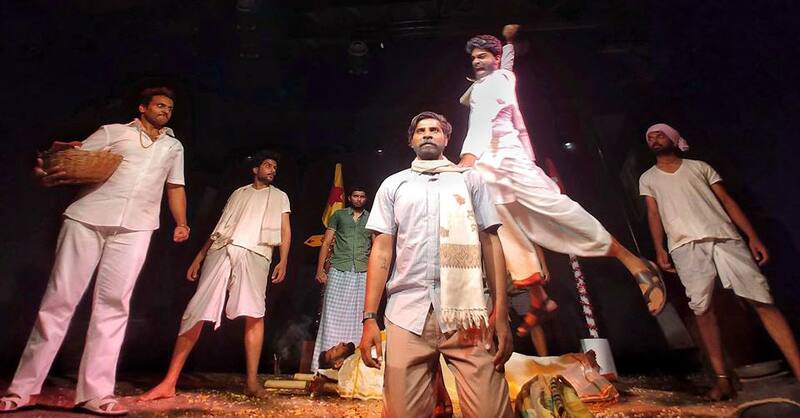 The play revolves around a conflict between two villages Pedduru and Chinnuru which were once one. Owing to differences, two brothers Pedda Dora and Chinna Dora separate, which not only creates the division of this village but also plants seeds of vengeance in the hearts of these people. While a wanderer conversing with an educated urbanite, suddenly collapses exactly on the boundary line of the two villages. This triggers a conflict between the two villages on who shall take up the responsibility to perform the last rites of the dead person. Adi & Appa who happen to be ardent followers of Pedda Dora and Chinna Dora, continuously engage in verbal arguments supporting the voice of their respective leaders. Saraiah, a solo drunkard who doesn’t identify with either of the villages fuels the argument frequently. Likewise after a series of arguments, the brothers suddenly discover the monetary benefits of cremation through a letter in the wanderers bag. Intoxicated by greed Pedda Dora, Chinna Dora and their corresponding associates begin to compete in showering pretentious respect towards the dead body. A new conflict arises where both the brothers desperately offer to take up the entire responsibility of performing the last rites. After witnessing this chameleonic behaviour of the villagers, the Urbanite discloses that no penny will be received by either of the doras. How will they react to this new situation, who will get the money ? Lets find out.